Manzarek, the band's keyboardist and a founding member of The Doors, died in May at the age of 74. 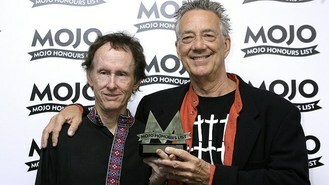 According to Rolling Stone magazine, guitarist Robby Krieger and drummer John Densmore are planning the live event. "We're going to do at least one show for Ray and have a big send-off," Krieger told the magazine. "That's either the start or the end of it, I don't know." The band went on to become one of the most successful rock groups to emerge from the 1960s and continue to draw new fans decades after Morrison's death in 1971 brought the group to an end.